Hello. I present a set of rules of my country-Spain-which focuses on the war of 30 years. It is a very funny juice. It is quite tactical and fast. I put a link to the basic rules. Although this in Spanish, it is not difficult to read them. pipers wrote: Hello. I present a set of rules of my country-Spain-which focuses on the war of 30 years. It is a very funny juice. It is quite tactical and fast. I have little Spanish but this looks as if it might be good. The Thirty Years War is my current favourite period: I'm assembling a Swedish army. 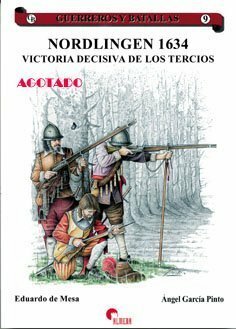 BTW do you know whether at the Battle of Nordlingen, the Spanish infantry used tercios? because the spanish army for that battle was commanded by Ferdinand Cardenal Infante. And he brought a lot of spanish tercios there. In his way, they found the king of Hungary's army, Ferdinand too, but austrian. And two armies went together for fighting at Nordlingen versus Horn and Weimar. and i am enjoying it a lot. why haven't you put a free link for downloading?? ?